Calm Support is an organic combo supplement that contains a scientifically formulated blend of amino acids, herbs, vitamins, minerals, and other nutrients that can provide you with the relief that you’re looking for. While all of the nutrients in Calm Support are extremely helpful at promoting the benefits I listed above, there are several in the formulation that collectively offers the greatest benefits. To illustrate how Calm Support can assist you by enhancing mood, comfort, and calmness while emphasizing restful sleep, I’m going to break down some of the individual Calm Support ingredients and explain why they are so beneficial. Let’s begin learning about Calm Support by taking a look at how the nutrients in the supplement work in the brain and body to provide the best combination of science and nature. 6.3 Conclusion – Does Calm Support Really Work? 6.5 Where Can I Buy Calm Support? Passion flower is a very beneficial herb for anxiety, depression, insomnia, and tense muscles because it contains monoamine oxidase (MAO) inhibitors and it binds to GABA receptors, thus enhancing brain chemistry and boosting mood. Serotonin – Makes you feel “emotionally relaxed” and content. Medications such as Prozac, Paxil, and other SSRI’s increase this neurotransmitter, and are often prescribed to treat Depressive Disorder, Social Anxiety Disorder, and Generalized Anxiety Disorder. Dopamine – When a person’s dopamine is too low this can lead to anhedonia (inability to feel pleasure). Dopamine is responsible for feelings of motivation, pleasure, euphoria, and it plays a large role in the “reward system” in the brain. Epinephrine/Norepinephrine – Also known as adrenaline and noradrenaline, these “focus neurotransmitters” can reverse depression, fight fatigue, and help the body respond to physical, mental, and emotional stress. 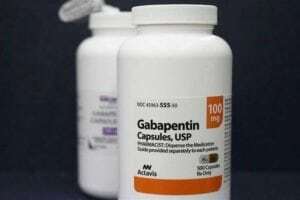 GABA – Acts as a “mental relaxant.” Anxiolytic (anti-anxiety) medications in the benzodiazepine class (Valium, Ativan, Xanax, Klonopin, Librium, etc.) work directly on the brain’s GABA receptors. GABA reduces anxiety, insomnia, and promotes feelings of deep tranquility. Note: In a study from 2001, patients going through acute opiate withdrawal were divided into two groups. One group received clonidine plus a placebo, and the other group was given clonidine plus passion flower extract. The passion flower group showed a significant superiority over clonidine alone in the management of opiate withdrawal symptoms. Also referred to as velvet bean and other less common names, mucuna pruriens is a tropical legume native to Africa and Asia. 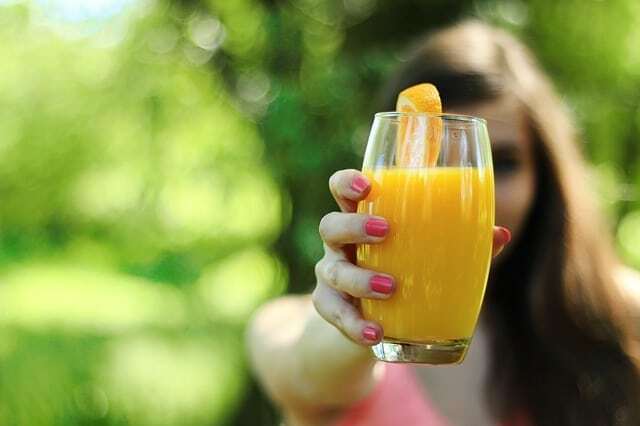 It contains levodopa (L-dopa), which converts to the chemical dopamine in the brain. Dopamine is a neurotransmitter that promotes enjoyment and interest in life. It also increases mental focus and feelings of pleasure. Note: In a study from 2010, mucuna pruriens was shown to reduce psychological stress in adult males. Ginger is a great addition to the Calm Support formula, and it has TREMENDOUS value for individuals that have stomach pain, nausea, and even physical soreness. In Peru, ginger is sliced in hot water as a remedy for stomach aches. Studies have shown ginger to be useful in the treatment of nausea and vomiting. Ginger also has phytochemicals called gingerols, which are structurally similar to the COX-2 inhibitors in Advil and other NSAIDs. In two clinical studies involving patients who responded to conventional drugs and those who didn’t, physicians found some interesting statistics. 75% of arthritis patients experienced relief of pain and/or swelling from ginger. 100% of patients with muscular discomfort experienced relief of pain and/or swelling from ginger. Adaptogens are special herbs that help your body adapt to stress and resist fatigue. Adaptogens promote the facilitation of homeostasis in the body. They’re called adaptogens because of their unique ability to “adapt” their function according to your body’s specific needs. Work a bit like a thermostat. When the thermostat senses that the room temperature is too high it brings it down; when the temperature is too low it brings it up. Note: In a study from 2000, ashwagandha was tested on rats to determine if it had anxiolytic (anti-anxiety) and antidepressant activity. The conclusion of the study was that the investigations support the use of ashwagandha as a mood stabilizer in clinical conditions of anxiety and depression. In a study from 2013, it was concluded that ashwagandha has potential against cancer-related fatigue. L-Tryptophan is referred to as an “essential” amino acid because our bodies cannot manufacture it, and it must be obtained from food. L-Tryptophan is an important amino acid due to its POWERFUL ability to treat depression, anxiety, and insomnia. As I mentioned previously, serotonin is a neurotransmitter that significantly affects mood. Low serotonin levels can lead to depression, insomnia, anxiety, and other problems. One way to increase serotonin is to eat foods that are rich in this amino acid. Have you ever eaten a big Thanksgiving dinner, then had to lay on the couch afterward because you were so tired? Turkey has a very high amount of L-Tryptophan, which can result in an individual becoming relaxed after consuming it. Note: In addition to consuming foods high in L-Tryptophan, supplementing with Calm Support can increase serotonin production due to the presence of this amino acid in the nutrient profile. L-Theanine is an amino acid analogue of the proteinogenic amino acids L-Glutamate and L-Glutamine. It is abundant in green, black, and white tea leaves. L-Theanine is commonly used to help with anxiety, blood pressure control, mood, and cognition. L-Theanine also increases alpha wave production in the brain. Alpha waves are present when your brain is in an idling default-state typically created when you’re daydreaming or consciously practicing mindfulness or meditation. Note: In a study from 2012, L-Theanine was shown to significantly reduce opiate withdrawal symptoms in rats, while producing anti-anxiety effects. The results of the study suggested that L-Theanine may be useful in the pharmacotherapy of treating opioid withdrawal as well as anxiety-associated behaviors. If I were to continue going into this much detail on the rest of the Calm Support nutrients that are beneficial at helping a person needing relief, this would be long enough to turn into an Ebook! Thus, I will be giving much shorter descriptions from here on out, and provide brief information as to what the following nutrients may help with. Valerian Root – A perennial herb that is native to Europe, which can lessen anxiety, nervous restlessness, and insomnia due to it affecting GABA receptor activity in a similar action to passion flower. 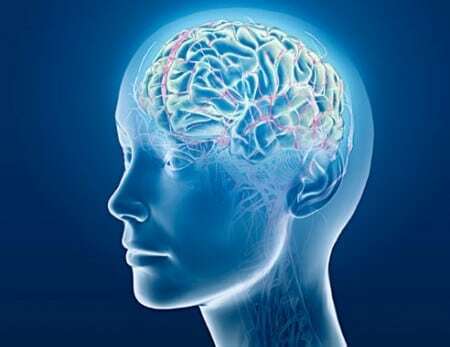 GABA – An inhibitory neurotransmitter made by the brain that is available in supplement form. GABA is the brain’s natural Valium; great for anxiety, tension, and insomnia. Motherwort – This herb “gladdens the heart” and relaxes the nervous system, resulting in a big mood-boost, and relief of nervous debility and spasm. Higher doses of this herb can act as a sedative to improve sleep, while smaller doses during the day can give energy by reducing debilitating anxiety. Oat Seed – An herb that is soothing to the brain and nervous system. It’s especially beneficial to consume oat seed powder during times of nervous system weakness or exhaustion. Phyllanthus – A health-enhancing herb that has a powerful ability to detoxify the liver and alleviate pain. Vitamin/Mineral Blend – Calm Support contains the following nutrients that make the product totally complete: Vitamin C, Vitamin B6, Vitamin B12, Thiamin, Folic Acid, and Zinc. Another thing I love about Calm Support is how easy it is to benefit from. You simply take the capsules with food 2-3 times a day, and you can enhance your mood in ways that you truly must experience for yourself. Conclusion – Does Calm Support Really Work? Many of the nutrients that are in the Calm Support supplement have been shown in studies to have some very real and positive benefits that people seeking relief desperately are needing and looking for. Passion Flower – Shown to reduce opiate withdrawal symptoms in a research study. 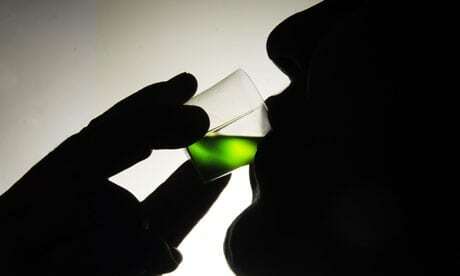 L-Theanine – Shown in a research study to reduce opiate withdrawal symptoms in monkeys. Valerian Root – Shown to reduce insomnia in menopausal women in a research study. In another research study, valerian was shown to improve symptoms of Restless Leg Syndrome. Velvet Bean – Shown in a research study to reduce psychological stress. Ginger – In a research study, use of ginger resulted in moderate-to-large reductions in muscle pain following exercise-induced muscle injury. GABA – Shown in two research studies to decrease anxiety and induce relaxation. L-Tryptophan – Was shown in a research study to help female insomniacs fall asleep faster. In conclusion, I HIGHLY RECOMMEND using Calm Support as a natural and effective supplement that was scientifically formulated to help you get the relief you need and get rid of the “icky” feelings you may be experiencing. I like to promote Calm Support because so many people have told me they love it, it’s very affordable, and they have the best money-back guarantee which is also assuring. They also offer Free Discreet Shipping. Where Can I Buy Calm Support? Currently, the only place where you can purchase Calm Support is at CalmSupport.com. The prices are $49 for 1 bottle (30-day supply), $78 for 2 bottles (60-day supply), and $100 for 3 bottles (90-day supply). Here’s a screenshot I took with my MacBook Pro that shows you the Calm Support ordering page. It’s an easy ordering process and you can pay with any card or even PayPal if you choose. Oh and I almost forgot to mention!! 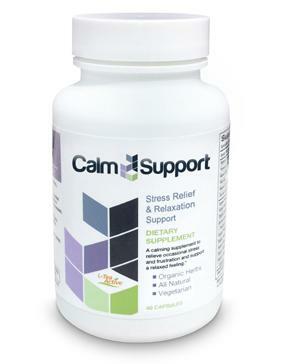 !….Calm Support works ESPECIALLY WELL if you take it throughout the Day then take Sleep Support at Night. Sleep Support is the other EPIC product they have on the CalmSupport.com website. I’ve had a ton of people tell me the two together help much better than just using one. I HIGHLY RECOMMEND using both together. P.S. – To learn about over 50 opiate withdrawal remedies (Prescription Medications, OTC Meds, Supplements, Natural Drugs, Natural Remedies, Home Remedies) that can help you get off opioids from home without withdrawal, check out The Ultimate Opiate Recovery System. You’ll be glad you did.